Persepolis (or Takht-e-Jamshid) located in northeast of Shiraz city, belongs to Achaemenid Empire (ca. 550–330 BCE) and was built by Darius I.
Grandeur and glory of this ancient city is evident in its mythological capitals, grand palaces, the gate of nations and eastern stairways. 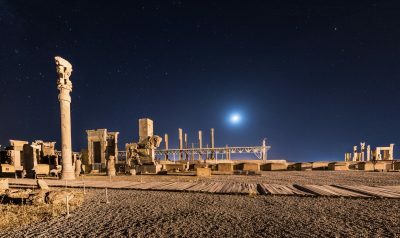 Persepolis was one of the most important cities of Persian Empire until it was burnt down in 330 BC when Alexander the Great invaded Persia. I always loved this historic complex,because it is remained from one of the greatest empires in iran and is our historic identity. 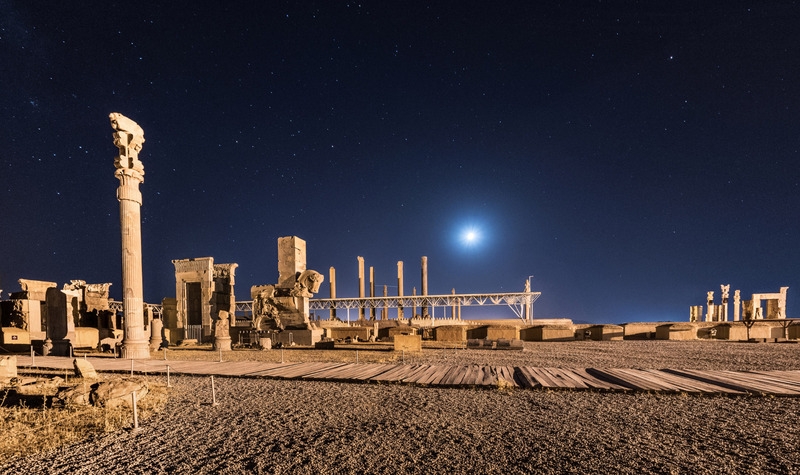 When you walk pass by the gate of nations and you enter persepolis,just think of one thing : this is exactly where many kings and great emperors have been and set foot on throughout the history,in order to meet our emperor and have connection with the great persian empire.